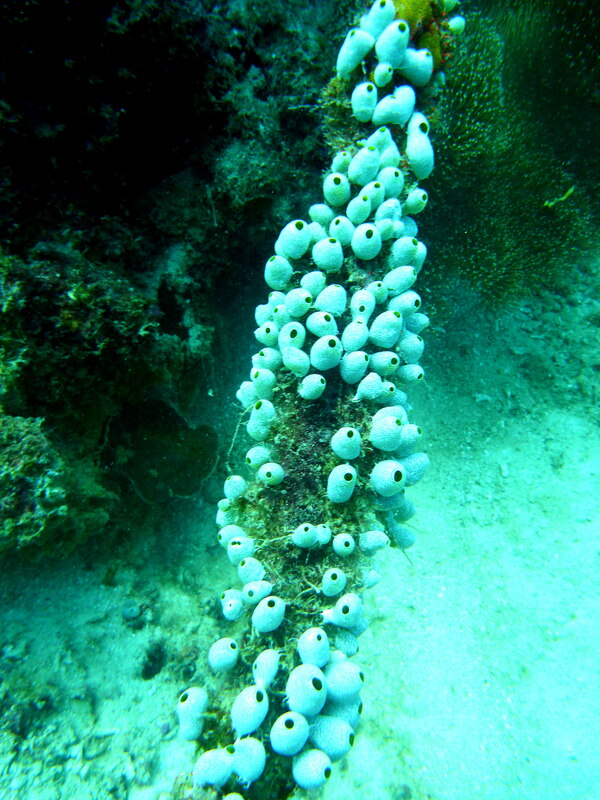 Sea squirts are rounded or cylindrical animals ranging from about 0.5 to 10 cm (0.2 to 4 in) in size. One end of the body is always firmly fixed to rock, coral, or some similar solid surface. The lower surface is pitted or ridged, and in some species has root-like extensions that help the animal grip onto the surface. The body wall is covered by a smooth thick tunic, which is often quite rigid. The tunic consists of a cellulose-like substance called tunicin along with proteins and calcium salts. Unlike the shells of mollusks, the tunic is composed of living tissue, and often has its own blood supply. In some colonial species, the tunics of adjacent individuals are fused into a single structure. This marine invertebrate commonly known as Ascidians are characterized by tough outer tunic and are filter feeders. These animals are found all over the world usually in shallows, they are sessile which means they are firmly attached to substratum, such as rocks and shells. As seen above they are attached to a tube-like coral just near to sea anemones or coral reef systems. There are 2,300 species of ascidians and three main types: solitary ascidians, social ascidians that form clumped communities by attaching at their bases, and compound ascidians that consist of many small individuals (each individual is called a zooid) forming colonies up to several meters in diameter. Some sea squirt produce a chemical called Ecteinascidin, a potential for pharmaceuticals! Sea invertebrates like sea squirt are subjects of research in medical laboratories for possible medicinal products. We found this animal while diving in Siquijor, their colony was getting my attention and quickly snap the above photo!